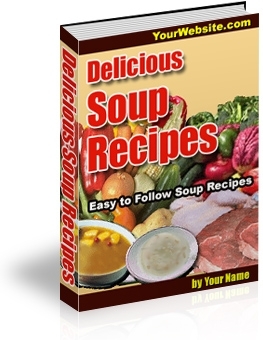 These are easy to follow soup recipes that anyone can cook to keep the whole family warm and happy all winter. If you are considering starting one of the 7 day Soup Diets, and using one of the soup maker blenders, you will be looking for a variety of eady to make recipes I promise you! **	Classes of soup denoting consistency. **	Herbs and vegetables used for soup. **	Processes involved in making stock. **	Cooking meat for soup. **	Removing grease from soup.